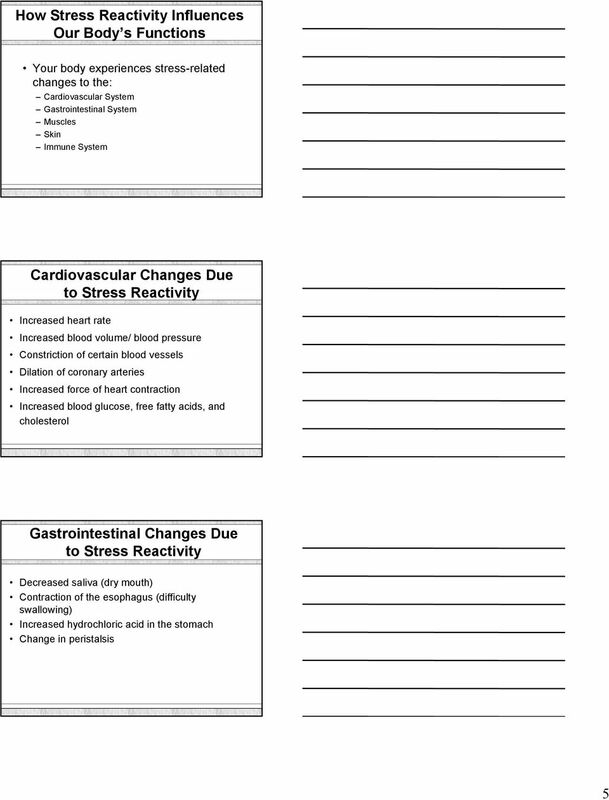 Download "Stress Psychophysiology. Introduction. The Brain. 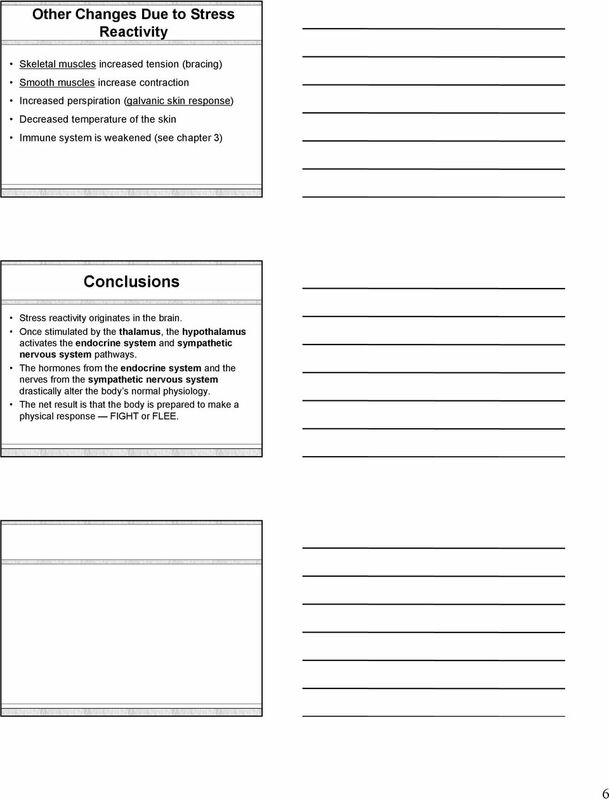 Chapter 2"
U N IT 10 NE RVOUS SYS TE M REVIEW 1. Which of the following is controlled by the somatic nervous system? A. rate of heartbeat B. Response to Stress Graphics are used with permission of: Pearson Education Inc., publishing as Benjamin Cummings (http://www.aw-bc. The connection between adjacent neurons. Water Homeostasis. Graphics are used with permission of: Pearson Education Inc., publishing as Benjamin Cummings (http://www.aw-bc. Nervous System Organization. 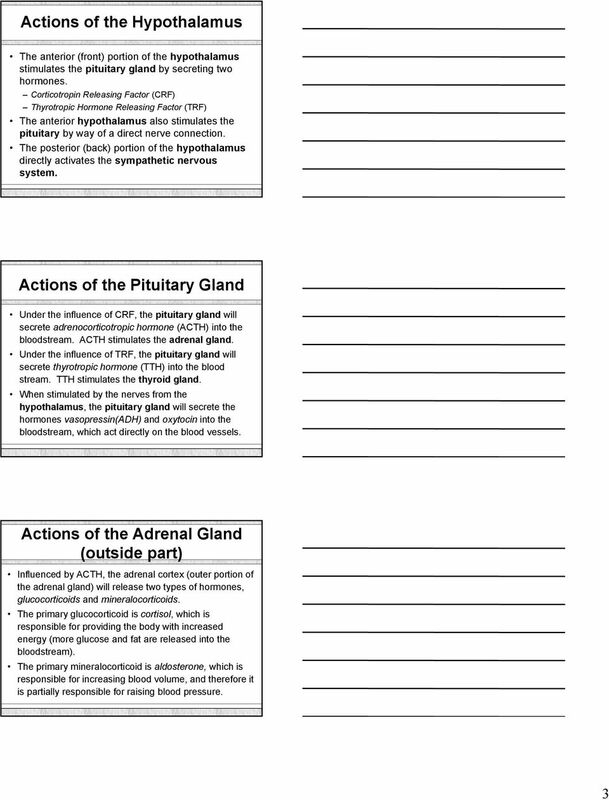 PNS and CNS. Nerves. Peripheral Nervous System. Peripheral Nervous System. Motor Component. Hypothalamic-Pituitary Axis Graphics are used with permission of: Pearson Education Inc., publishing as Benjamin Cummings (http://www.aw-bc. Chapter 14. Body Structure and Function. Cells, Tissues, and Organs. Cells, Tissues, and Organs (Cont d) The basic unit of body structure is the cell. Autonomic Nerves to the Rescue! Autonomic Nerves to the Rescue! The Human Nervous System is a complex array of subsystems i, but it s the autonomic (involuntary) part of it that will make it possible for us to catch the train today. Topics for seminar of Post-graduate students MD Physiology Session: July 2013 - July2014 Cellular and molecular basis of medical physiology. 1. DNA and its applied aspects. 2. RNA and its applied aspects. CHAPTER 7 Control and Coordination Living organisms respond and react to various stimuli like heat, light, cold, touch, pressure etc. Plants and animals both respond to stimuli but in different manner. Stress Recovery Program Introduction Stress: Everyone experiences it at one time or another, but chronic high stress, and how that stress is perceived, can be detrimental to your physical and mental health. 3. The neuron has many branch-like extensions called that receive input from other neurons. a. glia b. dendrites c. axons d.
What is the basic component of the brain and spinal cord communication system? page 1 INTRODUCTION A. Divisions of the Peripheral Nervous System 1. Somatic nervous system (voluntary) a. tissues innervated: skeletal muscle b. action: always excitatory (cause muscle contraction) c.
Chapter 15: The Autonomic Nervous System Chapter Objectives COMPARISON OF SOMATIC AND AUTONOMIC NERVOUS SYSTEMS 1. 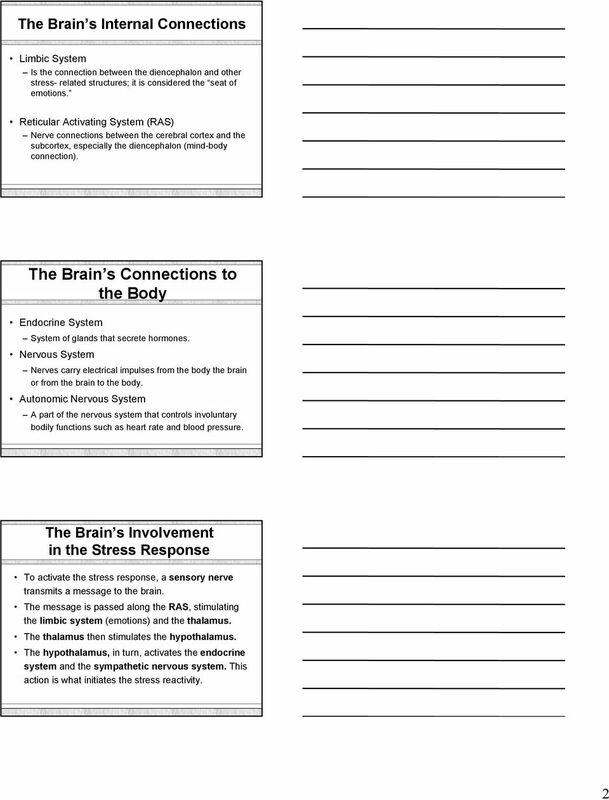 List the structural and functional characteristics of the autonomic nervous system. 2. The Human ody - ommon Exam Review Name: ate: 1. Which list shows different levels or organization within a population ordered from least to most complex? 3.. organ systems, organs, organelles, organisms. One of the main arteries supplying the back of the brain. 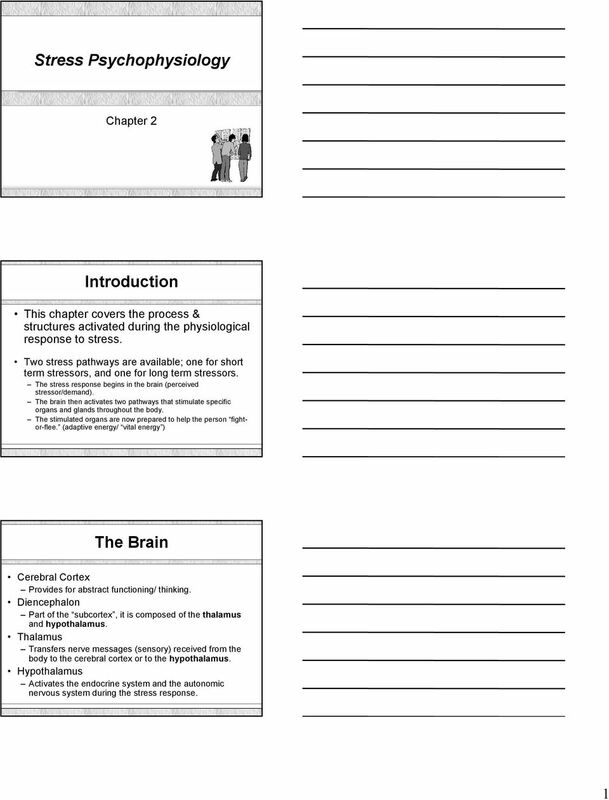 Please read chapter 15, The Autonomic Nervous System, complete this study guide, and study this material BEFORE coming to the first class. Please read chapter 15,, complete this study guide, and study this material BEFORE coming to the first class. I. 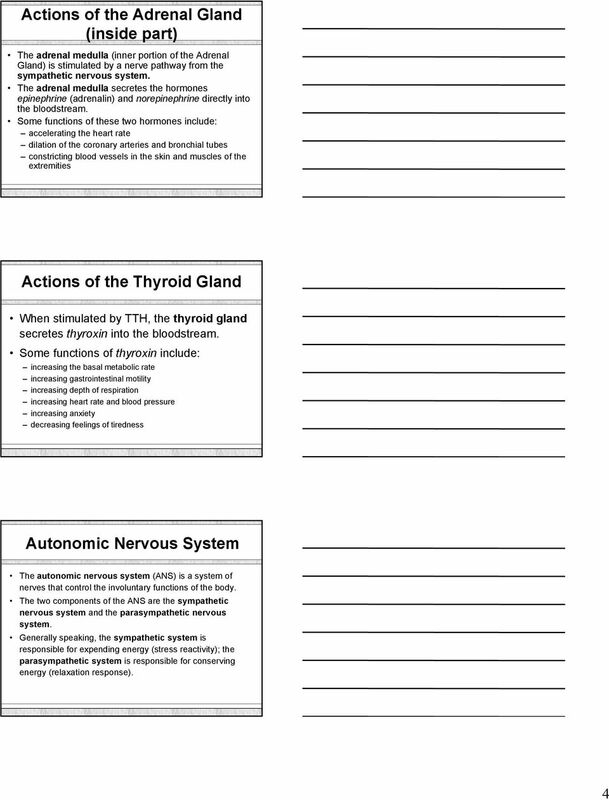 Introduction to the autonomic nervous system: Briefly describe the autonomic nervous system.